Download the FREE Key West Audio Tour, before you go. For many visitors, combining a Florida vacation, with a trip to Key West is a must—wheather you’re coming to Miami for a cruise, or spending a few days in Miami Beach, driving to Key West across the Overseas Highway is an experience to cross off your bucket list. 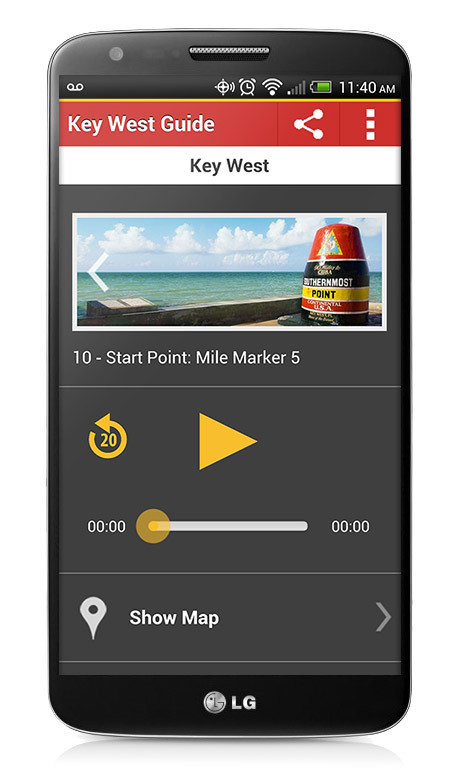 Because visiting Key West is such a big part of your vacation, today we’re launching our new Key West mobile app for iPhone and Android. We’ve organized our entire Key West audio tour and are sharing it with you online. 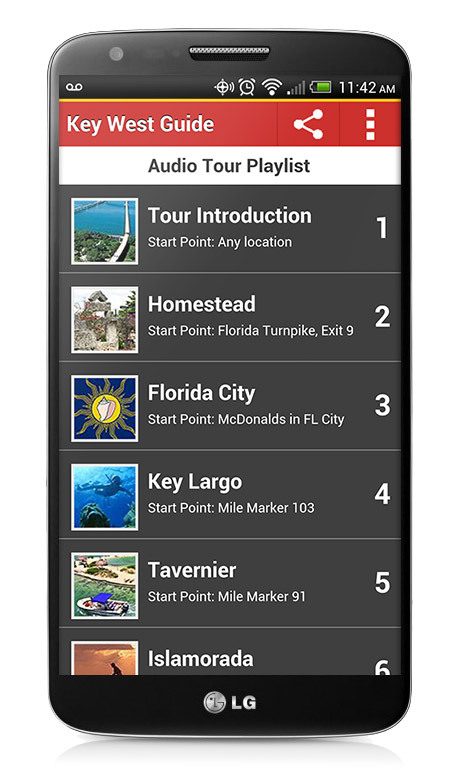 Beautifully designed with smaller screens in mind, the audio tour is all about delivering the best of The Keys—right on your phone, or tablet. The audiobook is designed to make your journey easier and more fun, it organizes the colorful history of the Florida Keys into a geographic-specific playlist so that you can get information that relates specifically to your trip. Many chapters provide cultural and sightseeing information. Others provide interesting stories about the amazing places and history. It’s entertaining. It’s easy to use and it’s free! You can listen to the audio tour at home, or on the road. Travelers always encounter downtime (driving, for example), so, unlike most travel apps on the market, our Key West app also works offline. Once you download the audio files, they are saved on your device and a connection is not needed to listen. This will save you the cost of pricey data charges and the hassle of finding a WiFi connection. 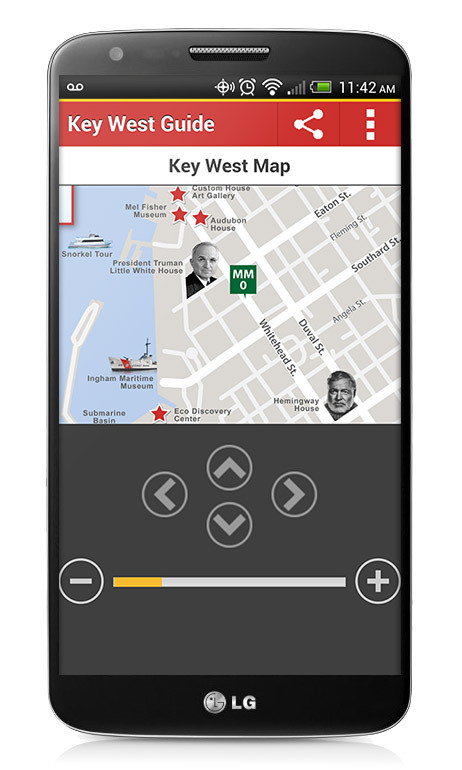 The Key West App is available for free at the iTunes Store and Google Play. The audiobook is available for uses who speak English, Spanish, Portuguese, German, Italian, French, Russian, and Mandarin. The language is determined by your device. If your language setting is English, you will hear the English audiobook. If you wish to hear another language, change the setting on your device, before installing the app. Start planning your Key West vacation today! This wonderful travel app will make your visit more meaningful and more fun, please try it out and let us know what you think.